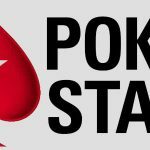 Scotsman Gordon Huntly has secured his biggest ever pay day by taking down the AUD$2,000+AUD$200 buy-in main event at the PokerStars.net Australia New Zealand Poker Tour (ANZPT) Sydney for $238,832. 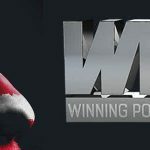 The Thailand-based Scot outlasted 460 other players in Sydney’s Star City Casino to secure the top prize at the first stop of the fourth season of the ANZPT, ultimately defeating home player Liam O’Rourke in their heads-up encounter that left the runner-up with $152,426 from the $970,864 prize pool. Huntly easily surpassed his biggest previous cash of $166,800 for finishing as runner-up to American Binh Nguyen in the Asia Pacific Poker Tour (APPT) $2,500 buy-in No-Limit Hold’em main event, or Manila Chairman’s Cup, back in March of 2010 at the Philippines city’s Pavilion Hotel & Casino. 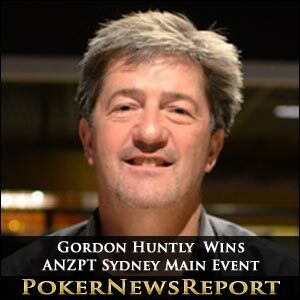 However, this was not his first victory in Sydney, with Huntly having won the AUD$1,000 buy-in No-Limit Hold’em Teams Event for $8,359 during the APPT stop at the same venue as his most recent success back in December of 2010. A total of 27 players made it into the final day of this ANZPT main event, although initial chip leader Nicholas Heather could not maintain his charge towards glory and the Irishman was eliminated in 13th place for $9,709. Eventually, after about five hours’ play, the nine-handed final table was set, with the ultra-aggressive O’Rourke the huge chip leader on 3,400,000 – way ahead of second placed Anthony Aston (1,900,000) as the only other player to have broken through the one million barrier. 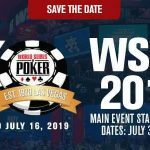 O’Rourke didn’t let up in his powerful play but was unable to expand on his small chip lead over the Scot when it came to heads-up play during the wee small hours of Monday morning in Australia. 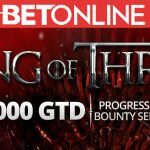 Huntly was crowned champion just 30 minutes after his head-to-head began after chipping away at O’Rourke’s lead by winning several big pots to eventually hold a near 3 to 1 chip advantage as the last hand played out. The Aussie decided to move all-in pre-flop with K♠ 9♣, while Huntly called to show the dominating J♦ J♠. The 4♥ 3♦ Q♦ changed nothing, while the 7♣ on the turn and the 4♣ river ensured that the Scot was champ to again deny O’Rourke an ANZPT title after the Aussie had finished third in the AUD$2,500 buy-in No-Limit Hold’em main event during season two’s Gold Coast stop back in August of 2010. Huntly has started 2012 in style, with a fourth-place finish for $16,308 at the European Poker Tour (EPT) Deauville €5,000 buy-in No-Limit Hold’em Six-Max High Roller event in early February. The Scot’s total live tournament earnings have now hit $497,663, so it surely won’t be long before he breaks through the half-million mark – and maybe that notable occasion will arrive in the Philippines next month when the APPT pulls into Cebu City’s Waterfront Airport Hotel & Casino from April 25 to 30, when there will be a PHP100,000 buy-in main event. Back in Sydney, the first final-table elimination arrived just a short while after beginning as 2008 APPT Sydney winner Martin Rowe, of England, lost out to Anthony Aston with the blinds at 12,000/24,000 with a 2,000 ante. In middle position, Rowe opened for 55,000 before small blind Aston made it an additional 93,000 to go. Play folded around to Rowe, who moved all-in for 236,000 more. Aston called to show 9♣ 9♠, while Rowe revealed A♥ K♦ for the showdown. The 10♥ J♠ J♦ kept Aston ahead, but Rowe could now pick up any ace, king, queen or 10 to take the pot. The K♠ arrived on the turn to give Rowe the lead, but the dealer then revealed the 9♥ to give Aston a full house and eliminate Sydney native Rowe in ninth for $18,446. Just minutes later, Bradley Lancken was hitting the rail in eighth place for $24,757. Lancken moved all-in pre-flop while holding kings to be faced by the sevens of fellow Australian Oliver Speidel. However, Lancken was more than a little disappointed to see a flop of Q♥ 7♦ 2♣ give Speidel trip sevens. The 6♠ turn and 10♠ river changed nothing – and that was that for Lancken. Another quick elimination arrived when Craig Blight exited in seventh place for $31,553. Blight was all-in quickly after resumption of play following a dinner break holding ace-queen and was called by O’Rourke, who showed pocket fives. The 5♠ 3♠ 6♣ flop gave O’Rourke trips and, while the turn was the Q♥ and the river the A♥ to give his opponent two pair, Blight was out. Speidel – who had become the short stack after his ace-king had lost out to Jason O’Brien’s fives just before dinner – was next to go in sixth place for $41,262. Speidel shoved with 10-7 and was called by Aston, who showed pocket fours. The 2♣ K♠ 3♣ 8♥ K♣ ensured that Aston’s pair stayed in front to knock out the Aussie Millions main event champion from late January in Melbourne. O’Rourke remained aggressive to take a massive chip lead after becoming involved in some huge pots with Stewart Ballard, but it was O’Brien who exited in fifth place for $50,970. O’Rourke shoved pre-flop while holding pocket twos and was happy to see O’Brien call with ace-king. The former was even happier when a two arrived on the flop for trips, although O’Brien did have a flush draw. However, the river was no help to O’Brien and he was out to leave us with four players. That quartet of Huntly, O’Rourke, Aston and Ballard battled away for more than two hours before the last-named was knocked out in fourth place for $66,019 when his pocket eights could not come from behind to beat the Scotsman’s tens. O’Rourke had appeared in complete control of the final table but found himself second in chips behind Huntly, before then eliminating Aston in third place for $84,465 to regain the chip lead. O’Rourke showed A♣ K♣ in his all-in showdown with Aston, who revealed A♥ J♦. The flop came 3♦ 3♠ 2♠ to keep O’Rourke ahead, while the 5♥ turn and 10♥ river changed nothing to ensure that the young Aussie faced Huntly in a one-on-one clash. The second leg of this season’s ANZPT arrives at Perth’s Burswood Entertainment Complex from April 26 to May 6 and includes an AUD$1,000+AUD$100 buy-in main event that runs from the second to the sixth of May.